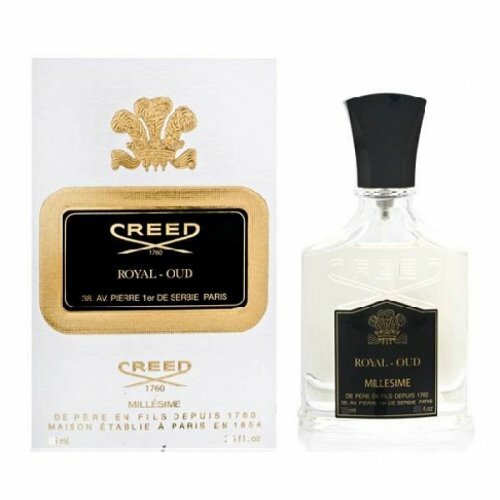 Creed has created their oud fragrance as a response to the many requests they received from clients, but they have adapted the scent to the style of their house. Wood, leather, marble and gold_the elements of a royal Persian palace_inspired this luxurious mix of the Persian and Parisian. Royal Oud is a stylish and warm fougere fragrance with a beautiful kaleidoscope of woody, aromatic green and spicy nuances. The note of oud is an integral part of the composition, playing its role in balanced equilibrium with other notes. Top notes include lemon, pink berry and bergamot. The middle notes consist of cedar, galbanum and angelic root. Base notes are Regal Indian oud, sandalwood and Tonkin musk.